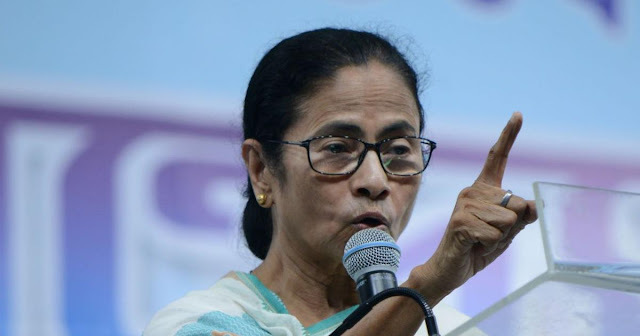 Arambagh (WB), Apr 23 : Trinamool Congress supremo Mamata Banerjee Tuesday alleged that the central forces were working for the BJP by asking voters in Maldaha Dakshin and Balurghat constituencies, where polling is underway, to cast their votes for the saffron party. Pointing out that the central forces do not have the right to ask voters to vote for BJP candidates, Banerjee said the Election Commission has been apprised of it. "I have got information that the central forces are sitting inside booths in Englishbazar in Maldaha Dakshin and asking voters to vote for the BJP. They do not have the right to do such thing. We have informed the Election Commission about our reservations regarding this," she said. "Why are they (central forces) doing it? The police cannot enter a polling booth," she added. She said that the central forces could come to a state during the elections but they should work with the assistance of the state force and then leave. Criticising the BJP for allegedly using the central forces, she said, "You cannot use the central forces. You did the same thing during the 2016 (assembly) elections in West Bengal. I have not forgotten it." West Bengal will teach the BJP an apt lesson, she claimed. 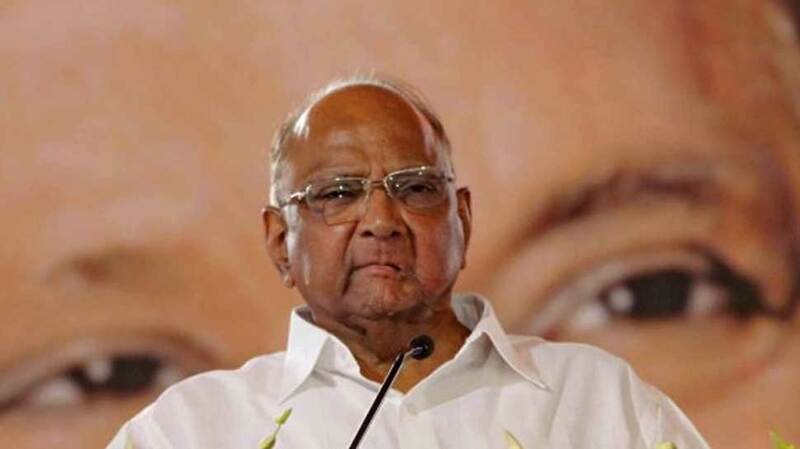 Mumbai, Apr 23 : People are in a mood to change the Modi-led government but manipulation of EVMs is the "only worrying factor", NCP chief Sharad Pawar said here Tuesday. He was speaking at a joint media interaction addressed by leaders of the Congress, NCP, TDP, Trinamool Congress, AAP CPI(M), CPI and DMK. "EVMs are vulnerable to programming errors," TDP leader N Chandrababu Naidu said. The BJP can get votes only through manipulation, he added. EVMs can be manipulated, hacked and even malfunction, he said. Only 18 countries have so far adopted EVMs, he added. Naidu said the economy, business and agriculture are in a bad shape under Prime Minister Narendra Modi. AAP leader Sanjay Singh said the Election Commission is acting like Dhritrashtra. "You press any button, the vote goes to the BJP," he said. Ahmedabad, Apr 23 : Prime Minister Narendra Modi Tuesday said the voter ID (identity card) is more powerful than the IED (improvised explosive device) of terrorists. After casting his vote, Modi walked some distance from the polling booth and interacted briefly with mediapersons. "I am confident that the power of voter ID is much more than the IED and we should understand the importance of the voter ID card and come out to vote in large numbers," he said. Modi said he feels fortunate to participate in "the great festival of democracy" in his home state Gujarat. "The third phase of polling is taking place today in the country. I am fortunate that I also got the proud moment to fulfil my duty by voting in my home state Gujarat and to have an active participation in this great festival of democracy," he said. "By voting, I feel the same sense of purity that one gets after taking bath at the Kumbh mela," he told reporters. Urging people to vote with full enthusiasm, he said, "The intelligence of Indian voters to understand whom to vote and whom not to vote is a matter of case study." He also welcomed the active participation of young voters, born in the 21st century, who are exercising their franchise for the first time in the ongoing Lok Sabha polls, and conveyed his best wishes to them. "This entire century belongs to those who are voting for the first time. They have to vote for the bright future of this century. Therefore, I would especially urge the new voters to commit to hundred per cent voting," he said. 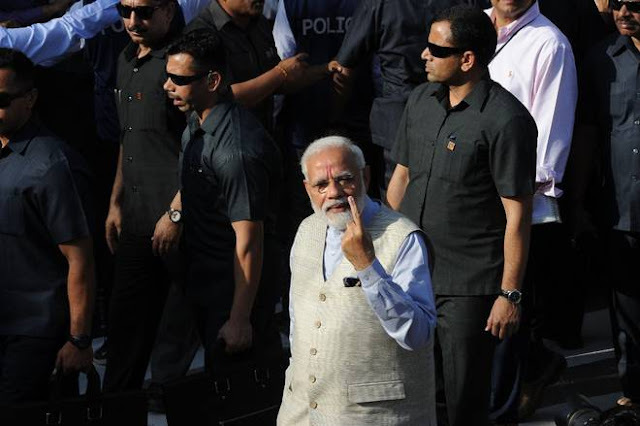 "I am grateful to all the lovers of democracy who voted in large numbers in the first and second phases of the Lok Sabha elections," he said. Modi reached the polling station at Nishan High School in Ranip area in an open jeep in the morning and cast his vote. On way to the polling booth, he also greeted people who had gathered on both sides of the road to welcome him. BJP president Amit Shah, contesting from Gandhinagar Lok Sabha seat, welcomed Modi and accompanied him to the polling booth. Modi's mother also cast her vote at a booth in Raysan village of Gandhinagar district. The 95-year-old came to the polling booth at gram panchayat office of Raysan village and exercised her franchise. After spending the night at the Raj Bhavan in Gandhinagar, Modi met his nonagenarian mother Hiraba near the state capital early Tuesday. 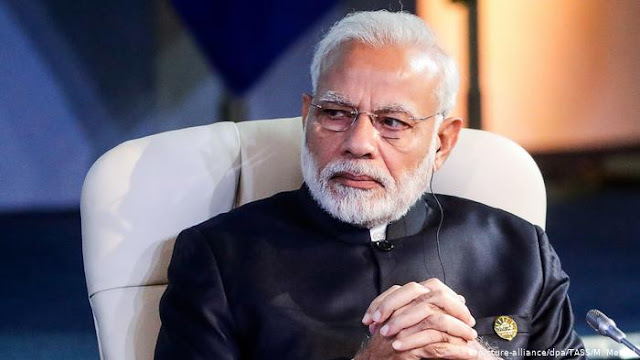 New Delhi, April 12 : The Supreme Court on Friday agreed to hear on April 15 a plea challenging the Election Commission's ban on the release of biopic on Prime Minister Narendra Modi. Hello Jammu News © 2016-2017. All Rights Reserved.